It has been three years now to AT&T holding iPhone exclusivity in US but it looks in year 2011 we may see Apple announcing iPhone with Verizon. 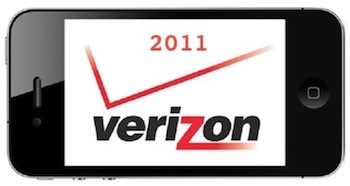 The announcement may happen not at CES 2011, as per Business Week instead they may announce iPhone Verizon shortly after CES 2011 at an Apple event, by Valentine’s Day i.e on or before 14, February 2011. The complete article doesn’t cities about source of the news but it does align with New York Times & Wall Street Journal reports of iPhone for Verizon in early 2011 back in March.